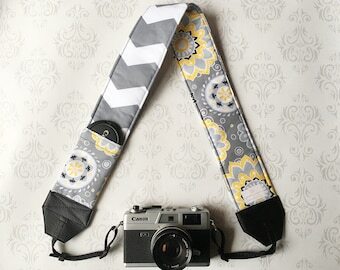 This adorable DSLR camera strap is a stylish, comfortable, and practical way to personalize your camera! It has been padded for your comfort and I have also added a small double pocket for your removable lens cap, business cards or extra memory cards! It's the perfect photography accessory!! I offer 2 lengths! Standard is a total length of 52" (with 30" being fabric) and XL is a total length of 57" (with 35" being fabric). See pic for reference! 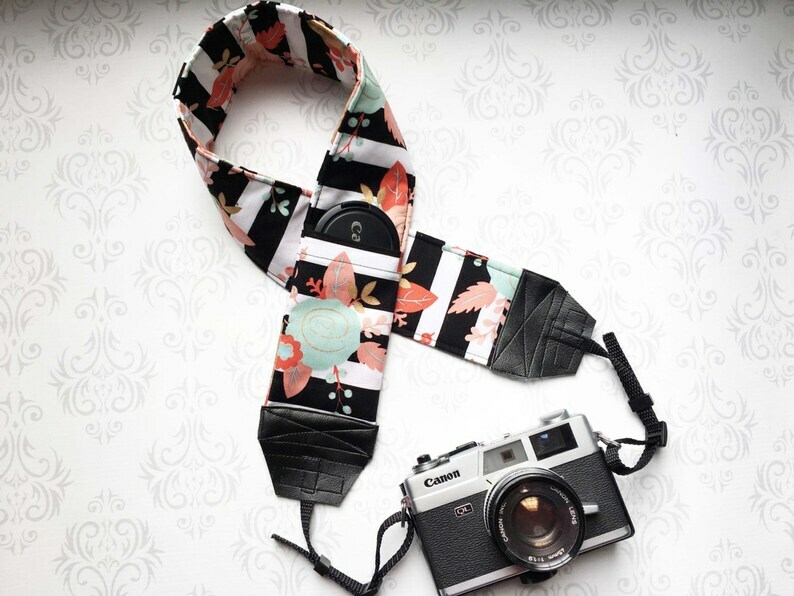 This is perfect for replacing your Canon or Nikon DSLR camera straps. However, please measure your lens cap to ensure perfect fit in the pocket. Should you need a special order size or add elastic to the pocket I can fully customize for you, just let me know before ordering and I will create a custom listing for you to purchase! ♥ 30" length plus adjustable ends for a total length of 52"
♥ Double Lens cap pocket - one on each side! My products are lovingly made in a smoke free Studio. Camera is not included. This works great with my camera, and the best part is the lens cap pocket! I love it so much! The design is adorable and the pockets are amazing!